If being fit were simply a matter of exercise and nutrition, wouldn't we be all rocking a slender, stronger, and sexier bod? Being FIT is as much about mindset and environment as it is about skipping the scale and using real numbers. It's putting yourself first so you can create the energy, confidence, vitality, and freedom you need to turn that dream into a reality, conquer the corporate ladder, or change the world while changing diapers. Think about it as your ROA (Return on Action) and your investment on mindset. Listen in for a brand new, age-old take on health, fitness, weight loss, and a life of freedom and fun. Grab your ROA Plan at www.AngelTigerFit.com. Spring is in the air, and with the season comes big changes and new beginnings. 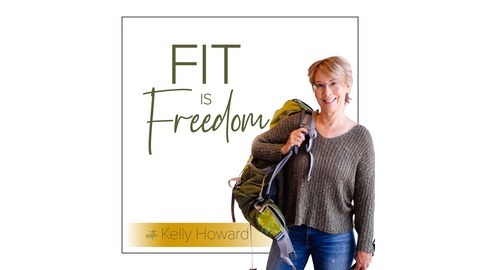 The first change-up is that Kelly has stepped down from the company she’s lead for nearly 15 years; the second is that the Angel Tiger Fit website and Your Body Mind Fit Connection are both being renamed to Fit Is Freedom! This is because she knows how easy it can be to fall into a rut and limit what you’re truly capable of, and to prevent that from happening you need to broaden your horizons and push back against your fears. 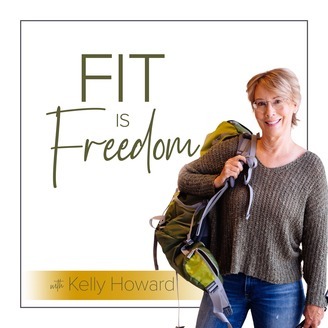 In this episode, Kelly explains why she stepped down from her company, reveals how she overcame her fears, and lays out a plan to help you get out of any rut you might be stuck in. How being in a rut is different from being in rhythm. Kelly's techniques for conquering her phobias of heights and the dark. The pinky promise Kelly would like you to make to her this week. The steps you should take to identify if you’re in a rut and get yourself out of it.